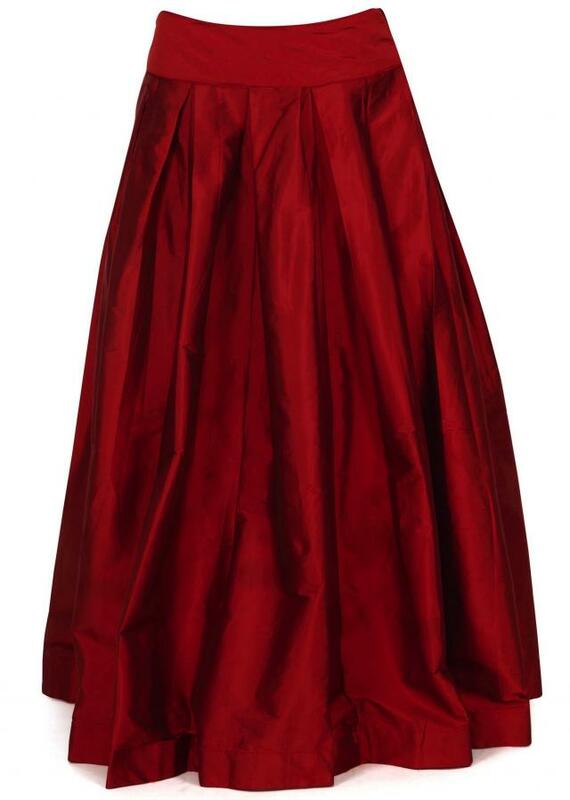 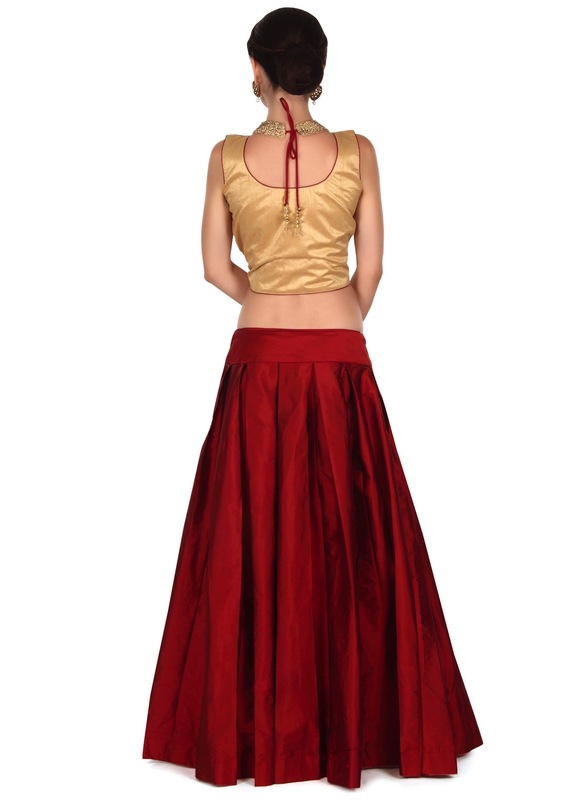 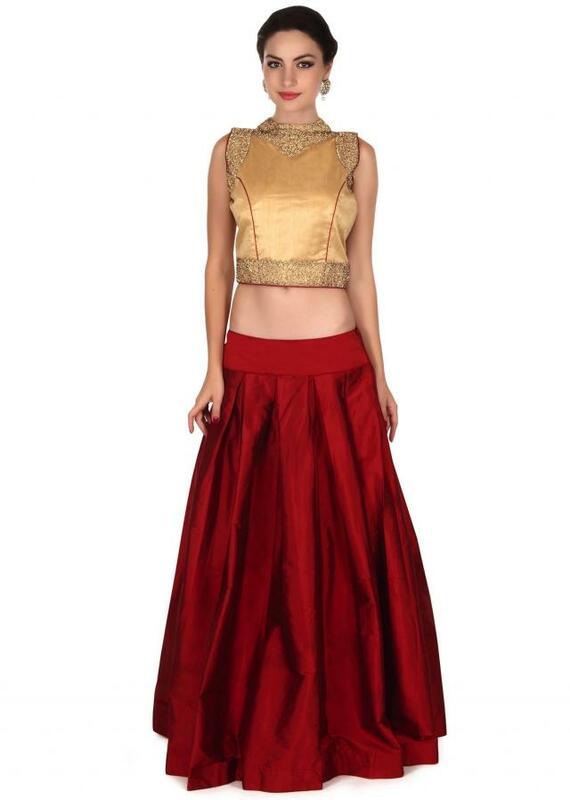 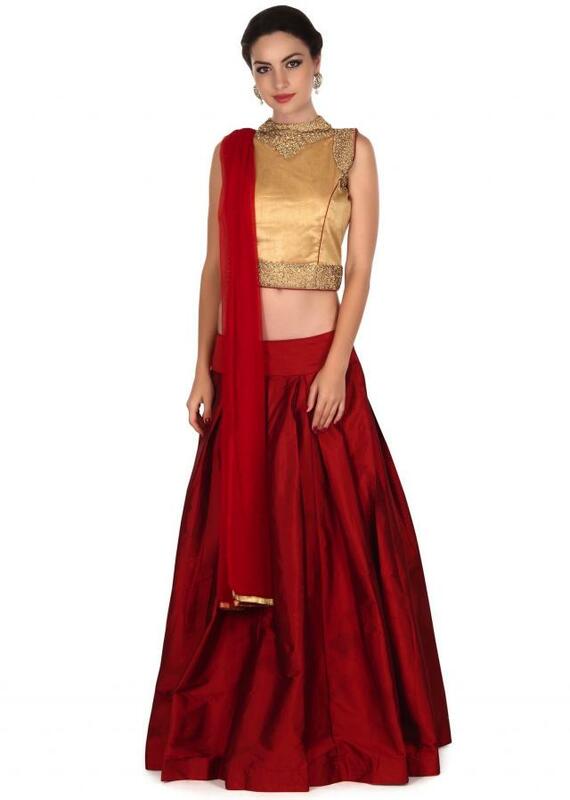 Maroon lehenga featuring in silk. 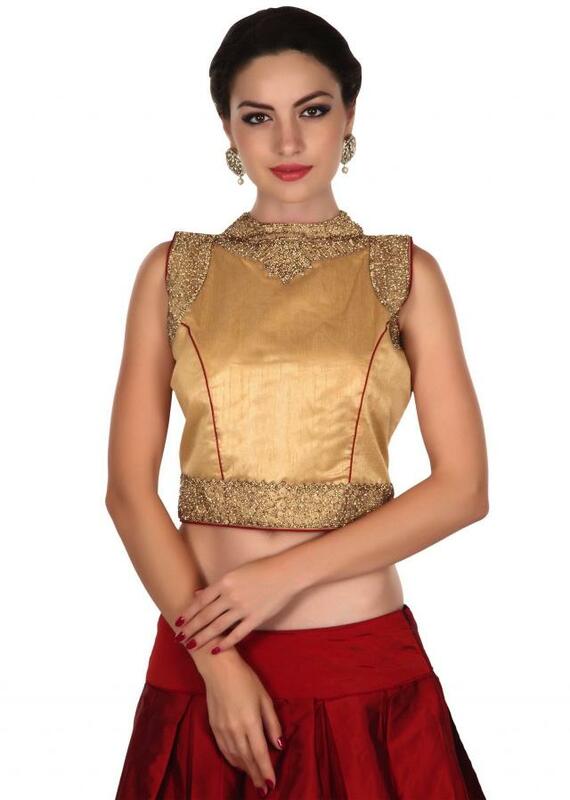 Matched with gold silk blouse adorn in kundan embroidery. 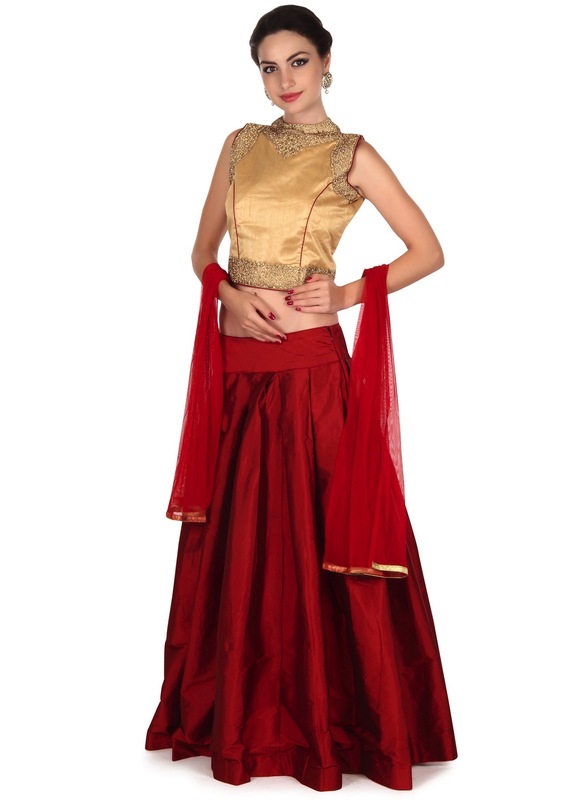 Dupatta is in maroon net with lurex border.